The Pacific’s first regional forest carbon conservation initiative called the Nakau Programme, was launched at the Live and Learn Environmental Education office in Domain last night. business community representatives from the Government and Non-Government Organisations. Mr Jacobs said the European Union was pleased to support the Nakau Programme over the past four years and was proud to see this important pilot programme getting off the ground. Live & Learn Regional Programme Manager Robbie Henderson said as of now businesses operating in Fiji wishing to offset their carbon footprints had to purchase carbon credits overseas. 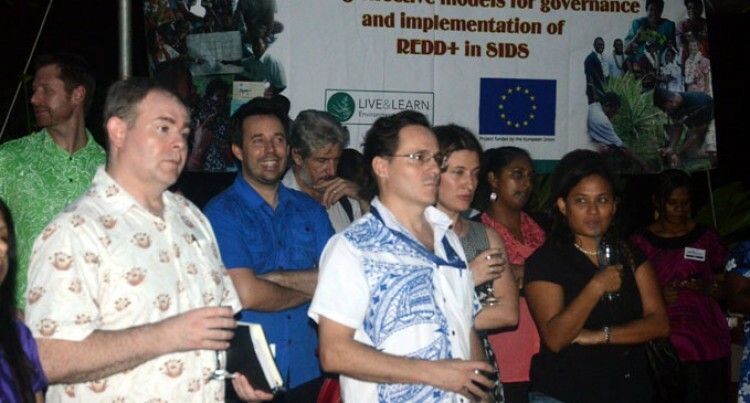 “The Nakau Programme presents a new local option for businesses in Fiji and the Pacific region to purchase carbon credits, offset their carbon footprints, strengthen their corporate social responsibility and contribute to the conservation of our rainforests,” he said. Landowner Waita Cunavale who is married into the village of Batiri, one of the mataqali who agreed to be part of the project, said they were happy to preserve their land because it prevented climate change. The $4.5million Nakau Programme was developed by Live & Learn, a regional Pacific-based NGO, which will preserve 5686.65 Ha of land from the province of Cakaudrove and Macuata.